Anil Kumble has been backed by the Lodha Panel that had recommended strong reforms to “clean Indian cricket”. 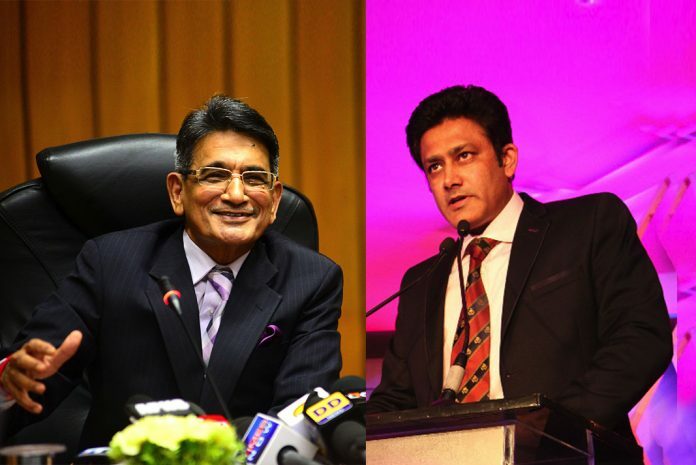 The Supreme Court-appointed Lodha Committee has lashed out the Board of Control for Cricket in India for inviting applications for the job of head coach of the Indian cricket team in spite Anil Kumble’s impressive work over the past year. Kumble’s contract runs out at the end of the Champions Trophy in June and the Indian board, on Thursday, posted a job opening, asking interested candidates to submit their applications by May 31. The BCCI, though, stated that Kumble “will be a direct entry for the [selection] process”. Gopal Sankaranarayanan, secretary of the Lodha Committee, slammed the BCCI, picking out the board awarding short-term contracts to coach as a “ludicrous” procedure, says a Times of India report.“Kumble does not deserve this kind of treatment. This isn’t the right way to treat your national coach. One year coaching tenure is a ludicrous thing to do. For a national coach, year-to-year appointment isn’t the way forward. Who will come for a one year tenure,” Sankaranarayanan said. “You can see that this is done deliberately by the board officials. You can’t be giving a piece meal to your national coach. The next contract shouldn’t be for a year,” he added. India skipper Virat Kohli, on Friday, defended the BCCI, explaining that they were only following due procedure by inviting fresh applications. “The process has been followed every single time the similar way and for the past so many years is what I know. Even the last time, the post was up for a change, the same procedure was applied,” Kohli had said.